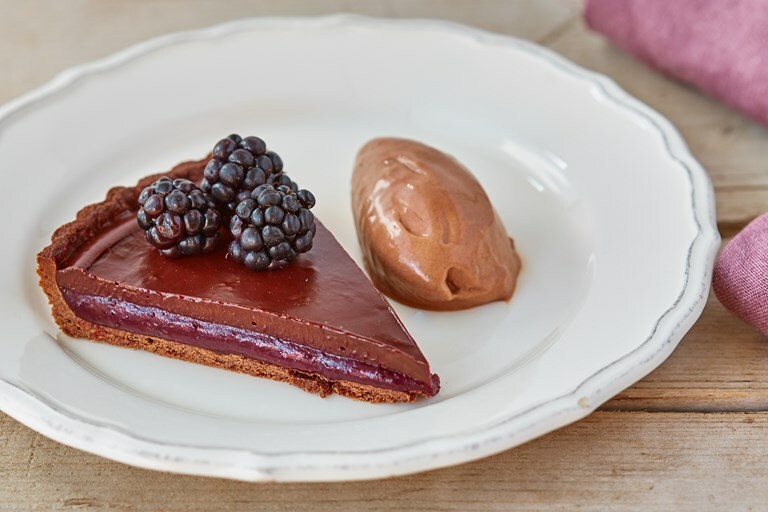 This stunning chocolate and blackberry tart recipe is comprised of crisp chocolate pastry, blackberry curd and chocolate ganache. To top it all off, the tart is served with a rich chocolate and cinnamon ice cream – the perfect dinner party dessert. You need to make the pastry, curd and ice cream the day before serving, so make sure you leave plenty of time. Clara is a primary school teacher whose initial love of food was inspired by many family meals, both traditional English food and food from afar.